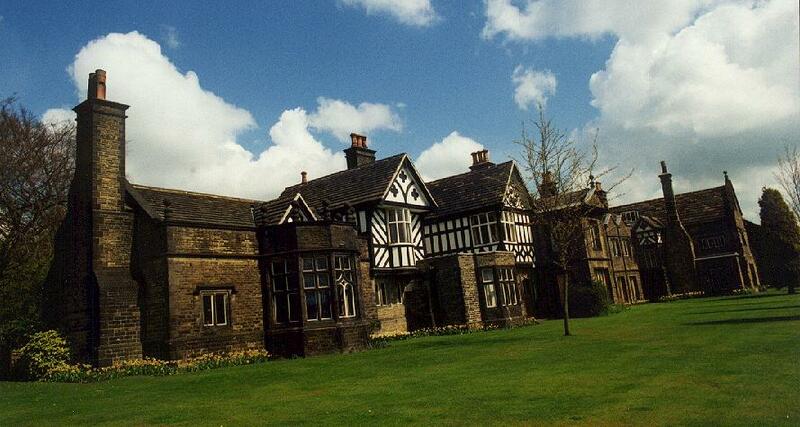 This is one of Bolton's old Manor Houses, the oldest part dating from the 15th century. 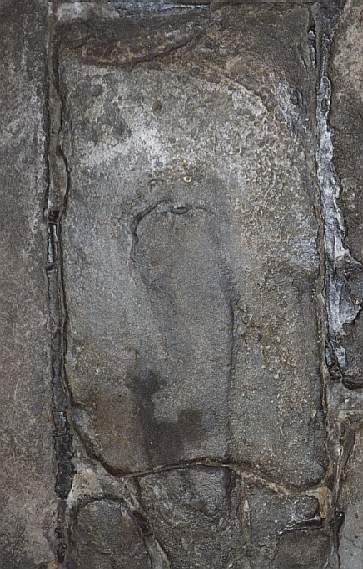 In 1554 George Marsh was questioned here during his trial, it is said that a mark on a flagstone inside the building was made when he stamped his foot. The shape of a foot can be made out. 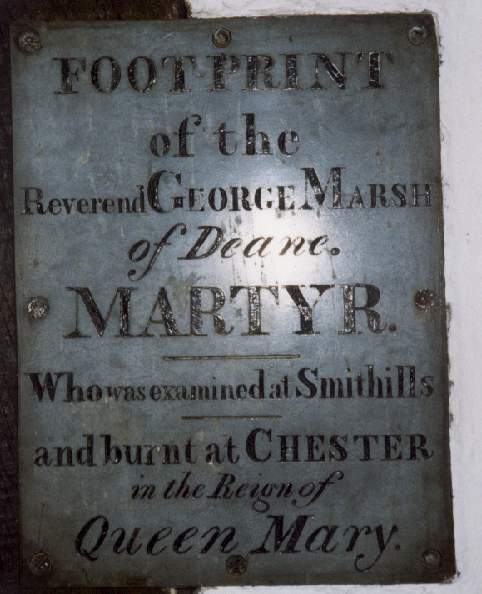 "Footprint of the reverend George Marsh of Deane, Martyr who was examined at Smithills and burnt at Chester in the reign of Queen Mary"
You can visit this building, but there is an admission charge. Here are some internal pictures and details. 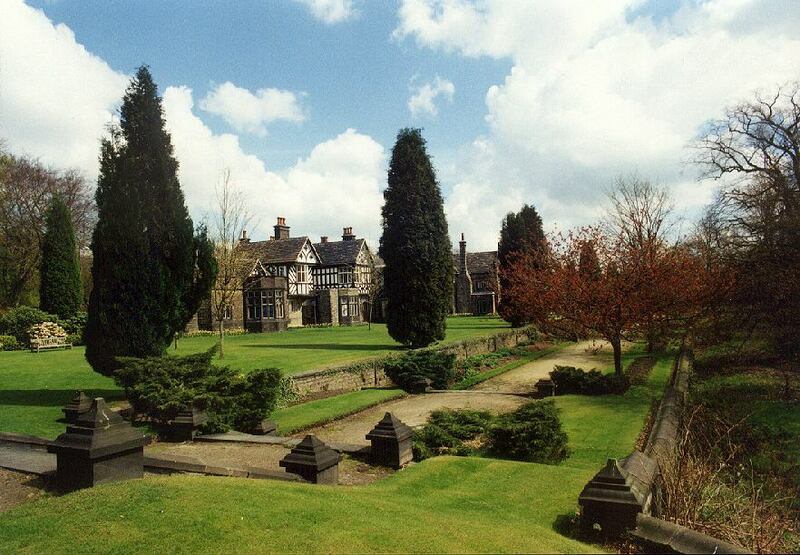 Inside is the once private, but now part of the parish of St. Peter's, Halliwell (Church Road). 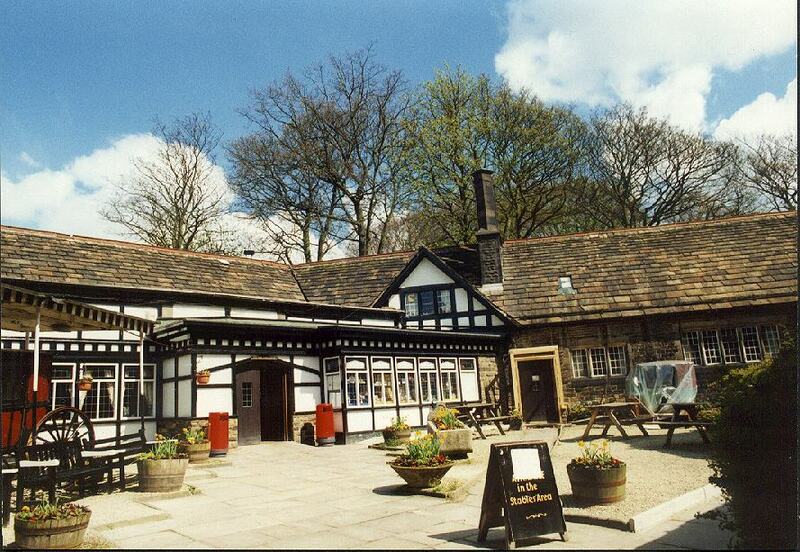 There is a web site, located at http://www.smithills-chapel.freeserve.co.uk/. 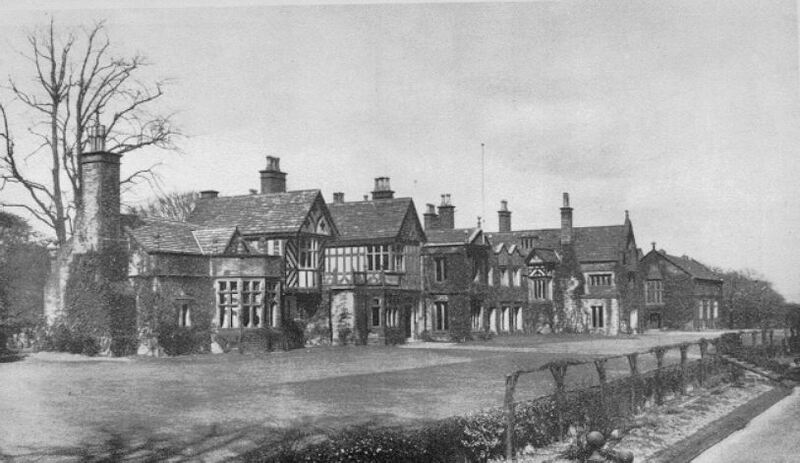 This picture is taken from a similar aspect to the black and white one above, only at a wider angle. This is a view taken closer to the building.